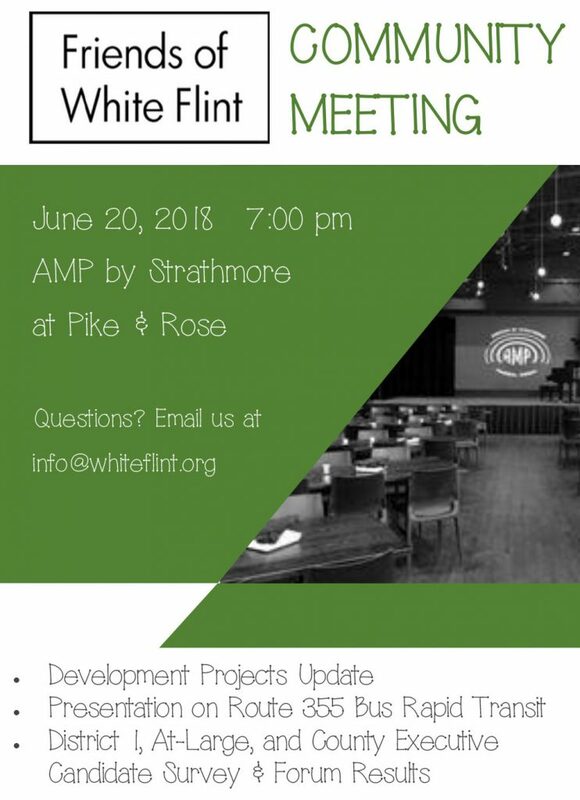 The Coalition for Smarter Growth (CSG) is hosting a walking tour that explores White Flint’s rapidly developing strides in livability and walkability on Saturday, May 12 from 10:00 am to 12 noon. Mark your calendars for the opening of Pike Central Farm Market Saturday, April 28 from 9:00 am to 1:30 pm. The market is located at Pike and Rose in the REI Parking Lot, 910 Rose Ave. There’s two hours of free parking in the convenient garage. Spring sure has been reluctant to arrive this year, hasn’t it? Everyone knows that April showers bring May flowers, but this seems a trifle excessive. That’s why we’ve decided to try to move spring along with the positive thinking that comes from a feel-good SALE! Yippee! We’ve got Bikeshare in the Pike District! Comments Off on Yippee! We’ve got Bikeshare in the Pike District! Friends of White Flint Executive Director Amy Ginsburg was honored to be invited to cut the ribbon last week on our new Bikeshare stations! We will post a much more comprehensive summary and story on what the candidates said during our incredibly successful District One Candidate Forum on Monday, but today, I want to thank some folks and share some photos and links to the tweets and videos of the forum.